This isn't the view through your childhood kaleidoscope. Nor is it an alien craft come to beam you up. 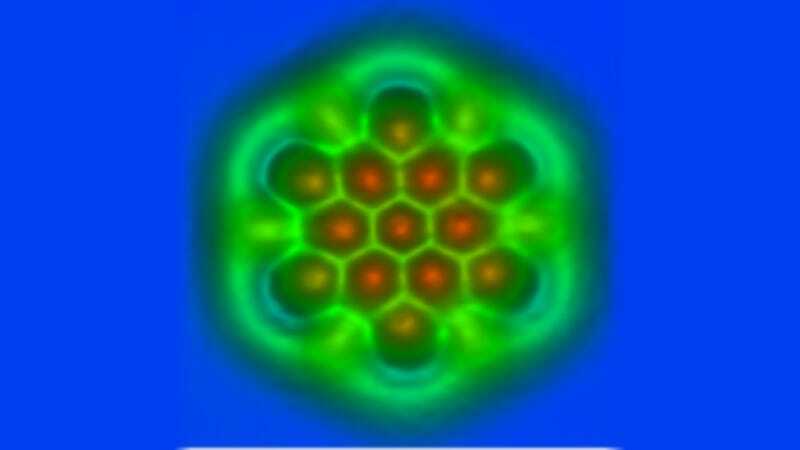 In fact, it's the world's first atomic force microscopy image of chemical bonds inside an individual molecule.